CONTRACTORFIND.co.za™ is proud to showcase only the best, registered and certified Balustrade Installers in Pietermaritzburg. Need qualified Balustrade Installers for the job? CONTRACTORFIND.co.za™ is the place to find them! 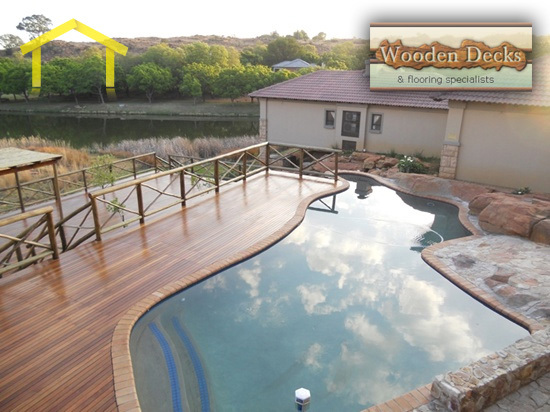 All the listed Balustrade Installers below have been screened and certified, ensuring that their service and quality is the best in Pietermaritzburg. 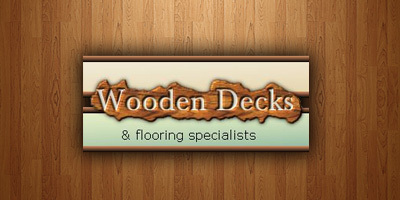 Find the top Balustrade Installers in Pietermaritzburg now. Our product range has been carefully selected to offer our customers functionality and improved aesthetics while still adding value to the property. We specialize in: aluminium balustrades, awnings, carports, drop blinds, garage doors, shower enclosures, garage door automations and laminate flooring. 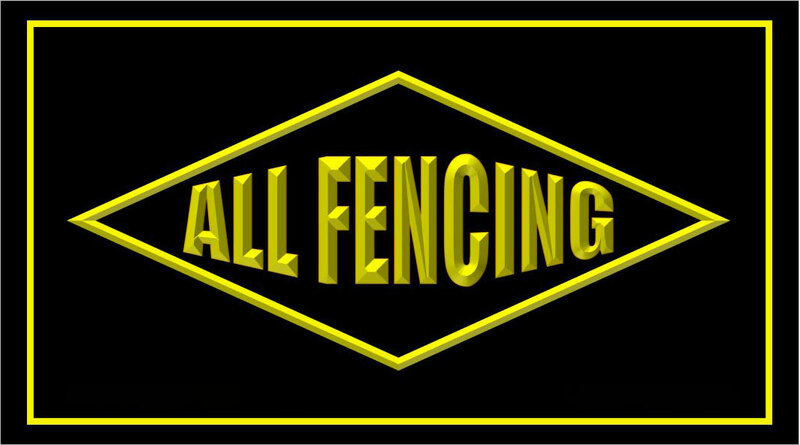 THE BEST SOLUTION FOR ALL YOUR SECURITY FENCING REQUIREMENTS. Contact us today to find out how we can Secure your perimeter! Some of our services include shopfittings, customised furniture, office interiors, interior design, partitioning and suspended ceilings. 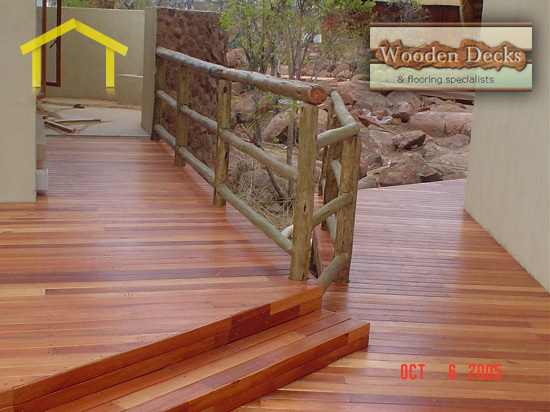 We manufacture and install wooden decks, staircases, balustrades and solid wooden flooring. Advice is tailored to meet the application. Typically a form of a railing, a balustrade is commonly used for safety in homes and offices. Yet besides being a safety feature balustrades have long been created as a thing of beauty, adorning their space and often standing out as works of art. Of course their most important aspect, as mentioned above is their security potential � after all one cant install a balustrade that someone will fall through with little effort and even the most beautifully crafted balustrades must be strong, durable, reliable and last the distance. A lot of their security features has to do with the materials used in their construction. It�s obvious that while a material such as aluminium would be easy to craft and meld into intricate patterns, it simply wont provide the safety needed, its too flimsy. This is why most balustrades we see today are crafted from wood, steel, wrought or cast iron, tensile wire and even glass. Because of the nature of their application most balustrades are custom made to fit the space, and unless you are building a series of identical buildings, the chances are that most balustrades will be a unique feature, designed and crafted not only to fit the space, but also fit the theme of their surroundings. After all a high-tech tensile wire and stainless balustrade would look out of place in a Victorian period home as much as a hand tooled old fashioned wood balustrade would look out of place in say a high-tech office block. They must look good, blend into and enhance or compliment their surroundings and be strong. YSteel balustrades are reliable and can be extremely beautiful. Steel can be shaped or cut into a variety of shapes or designs and when polished can fit into either a high-tech environment or when down skilfully, can compliment a contemporary setting, even rustic. They can be as simple and straightforward as you want or as elaborate as you want, it�s your choice and your budget. The beauty with steel is that is can be painted, galvanised, powder coated or scored in order to create a rough, modern finish. A fairly new innovation, this style balustrade is perhaps better suited for areas that do not require high levels of safety. Generally their construction consists of nothing more that few line of wire run horizontally between two supports and then winched tight. This leaves fairly large open gaps between them and if you are standing on a 10th floor building, perhaps they are best avoided. However, there is a use and need for these balustrades, and once installed can give a very minimal, modern look, high-tech finish to a space. Timeless beauty and elegance, timber balustrades over time can become a much sought after item to have. 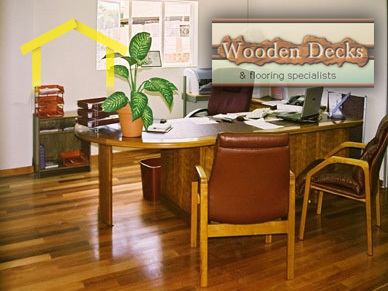 Whether you are after a straight up and down pole or a hand carved frieze, timber will definitely increase the value of your home both aesthetically and in terms of financial gain. 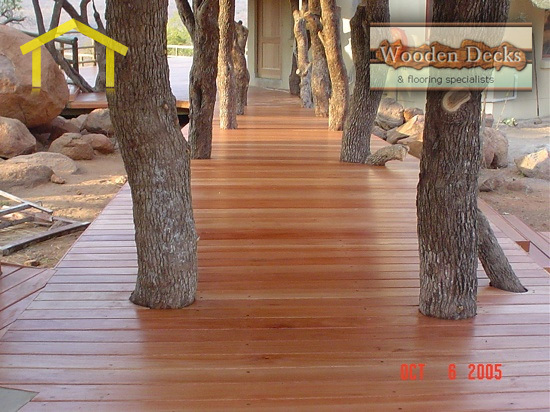 Timber is versatile, easily tooled and can be left in its natural state (which should be encouraged if you are using an exotic or beautiful wood), stained or painted. It is unfortunate that the use of timber has lessened, but perhaps people�s awareness of the environment makes up for this loss. 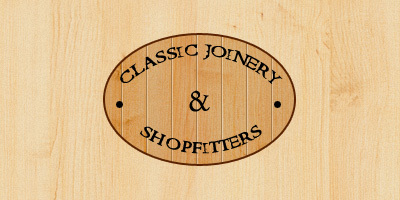 In its place many suppliers offer timber look-a-likes in the form of polymers which are economical, look great and can also be crafted into interesting designs. A fairly new idea, glass balustrades are for many the number one option when a view is at stake. A glass balustrade can shape the look of any staircase or patio and is one material that can withstand the elements with ease. Of course glass used in this construction is not your normal window glass; this is glass that has been toughened exponentially in order to ensure safety. The illusion of space a glass balustrade will give you is extraordinary compared to their denser counterparts, glass balustrades will not block our light or a view, or you could elect for acid etched designs or sandblasted or tinted finishes which still allow light through, although somewhat filtered. While possibly one of the most intriguing if not aesthetically pleasing choice in a balustrade, glass does come with a price. Glass by its natures is capable of shattering or chipping which can lead to potentially serious injuries or damage to property. For this reason the glass used in their manufacture has to go through a process of toughening and strengthening in order to cope with everyday use and wear. 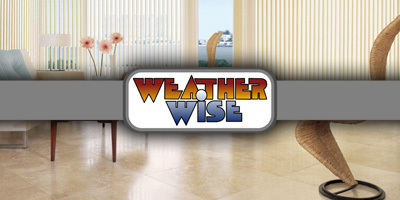 Talking about wear and tear, glass is not a great idea for high traffic areas, and is capable of giving those who have to clean it a great big headache. Glass shows the dirt really quickly and as their main feature is the clear vision they aim to provide, it is imperative that they remain sparkly clean at all times. While it is usual for balustrades and their handrails to be constructed from the same materials it is not unusual that they aren�t. For instance many balustrades today can be seen teamed with materials such as stone or plaster and even marble, even a mixture of wood, steel and other man-made or natural materials. The sky is the limit! 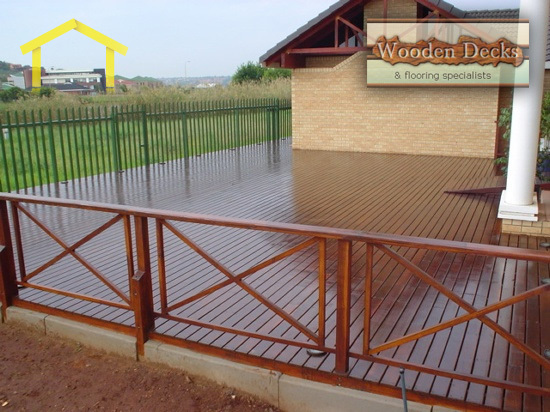 The materials used in design and manufacture should take into account where the balustrade will be placed as some materials just wont wear well outdoors while other materials are impervious to the elements, take galvanised steel vs. timber for instance. The most common shapes seen in balustrades is geometric, yet with most materials it is easy to curve shapes to suit your need and space, but this does have an effect on price. Designing a balustrade leaves plenty of room for imagination, and while some take the form of a series of straight up and down pillars, other comprise intricate cut out motifs that are welded together to form a story, or hand carved majestic wood that speak of past eras. Whether you choice is geometric or more creative, your design will need to depend on the design and architecture of your building, while a borderless sheer glass fa�ade may suit a particular setting, it may not suit lets say a rustic home set in the countryside. A balustrade is not something most of us dwell on, yet the absence of one is instantly noticeable. If you follow some simple rules in your design and safety selection, you will have a fitting that will last as you need it.